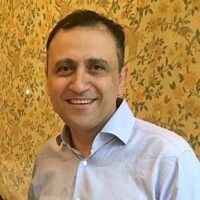 Short Biography: Akram has completed a PhD in International Business and A Master degree in Management Information Systems. He has over 23 years of International Experience in IT & Strategic Management, and Consulting. 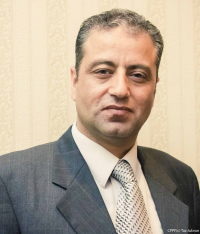 Short Biography: Salah Ali is a family physician, and a holder of the Canadian board of family medicine. He attended the International Medical University of Debrecen, in Hungary, where he received his Medical degree. Salah also obtained the Brown University certificate in family medicine, and the higher specialization in family medicine from University of Jordan, he also obtained a Master in international management health systems from university of Liverpool. He served as the chief of staff at the Pine Falls Health Complex, in Manitoba and a medical consultant for Seiden Health Management, in Toronto. Salah is currently examiner with the Canadian College of Family Physicians; manager and co-owner of few medical centers in the great Toronto area , as well as the owner and medical director of Erin Mills Medical Center. Short Biography: Hassan graduated from Latakiya University with a degree in DDS. He also attended the University of Manchester in the UK where he obtained a Master in Oral Surgery, followed by a degree in Dentistry from the University of Alberta in Canada. His passion towards Human Rights and Women’s rights led him to found ‘Hopes for Women in Education’. 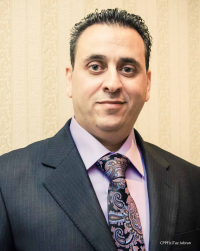 Hassan is a fellow of international congress of oral implantologists and a Board Member of the Canada International Scientific Exchange Program (CISEPO) and the Canadian Palestinian Professional Foundation (CPPF). He is also a member in the American Academy of Implant Dentistry. Professionally, Hassan runs 12 Dental Offices across Ontario. 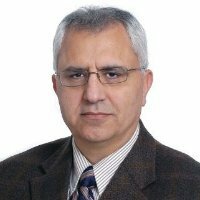 Short Biography: Ghaleb is a Financial Advisor with a leading Financial Group in Ontario, Canada. He has over 25 years of experience in the financial services industry working in Canada and internationally. His extensive business experience includes positions, such as Financial consultant, General Manager, Business Development Manager and small business owner.